FIRST AND FOREMOST: BEWARE THIS SITE!! There are a lot of less than upstanding things going on on this site and if you want my advice, you should TURN AWAY NOW!! But, in the interest of being fair – I will still give you a rundown of Meet Single Parents‘ features and pricing anyway, should you care to read it. But if you have ANY thoughts about joining this site, please scroll down to “The Bad” and see what I have to say first. Meet Single Parents will allow you to browse the site and search for members with their free membership, but if you would like to contact other members or use any of their other features you will need to upgrade to their premium membership. Create a profile and upload photos. Interact with members on the site’s chat room. Browse members by Who’s Online, Near Me, New Members, or All Members. Send unlimited messages and flirts. See all profiles and photos of other members. “Like” users or add them to private or blocked lists. I’m seriously not going to write anything in this section. Meet Single Parents is not good. The “Service” is offered through and accessible through a number of other websites in addition to this particular website. By registering with this “Service” you acknowledge and accept that all content that you post to this website may be searchable and available to users of the “Service” who access it via different websites from this website and may be accessible on websites other than this website. You further acknowledge and accept that other members of the “Service” that you may view and communicate with via the “Service” may have registered with and accessed the “Service” through a number of different websites. Do you know what that means? It means they can take your photo and your information and put it on any site they own. Online Connections Inc (the company that owns Meet Single Parents) owns, by it’s own admission, “1000′s of websites all focusing on something unique. We have sites focused on special interests, religious, location and much more.” That means that not only will you have an account on Meet Single Parents, but you could have account on Florida Flirt, Deaf Dating Club, or Date Over 60. Not only that, but it means that the vast majority of profiles you’re seeing on Meet Single Parents are collected from a variety of other specialty niche dating sites who in all likelihood probably are not single parents, do not want to date a single parent, and will be very confused when you ask about their children. And Florida Flirt? Or other city-specific dating sites? Meet Single Parents is a Canadian site… why would you want to be listed on, or see listings from, American cities?! Meet Single Parents has two subscription options. 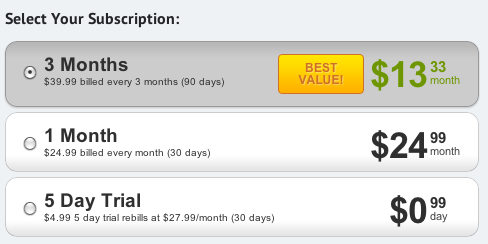 You can get a three month subscription for $13.33 per month, a one month subscription for $24.99, or a 5 day trial subscription for $4.99. But BE WARNED: Meet Single Parents uses re-billing, which means as soon as your subscription is done, it will be renewed on your behalf unless it is cancelled first. And yes, this even includes the 5 day trial. They accept payment by credit card or cheque. 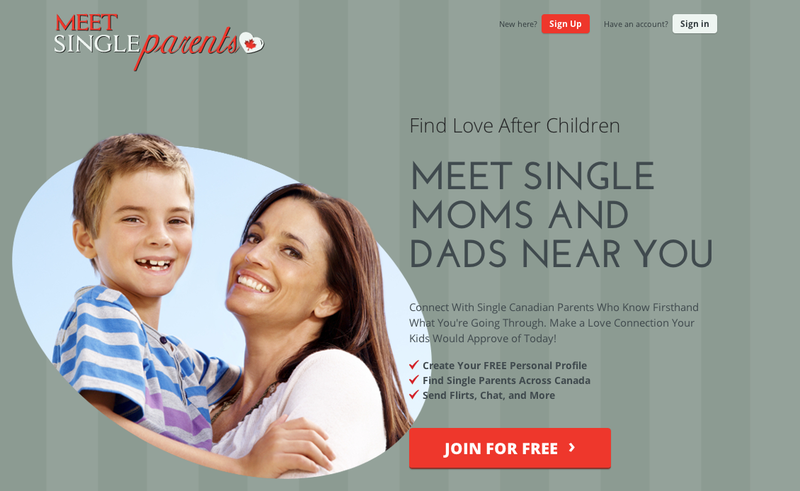 If you’re looking to meet single moms, or meet single dads, this is NOT the site for you. Not only is this site untrustworthy, but it’s not even a proper niche dating site! All it does is collect profile information from a variety of niche dating sites and post them on all their other niche dating sites, mixing all the niches together. How is that supposed to help you in meeting single parents? This site is a SCAM. You’ll have much better luck on a mainstream dating site where you can simply set your advanced search settings to find those with kids or that are accepting of single parents. Two mainstream dating sites that we have ranked highly are PassionSearch and XPRESS. Both sites offer a 100% guarantee that you will meet someone on the site within your first three months or you will get your next three months free! So, if you’re nervous about joining a big mainstream dating site, at least that takes some of the pressure off.